Will Moving My Money Into an IRA Be Effective on This Year's Taxes? You can move money into a traditional IRA up to your tax filing date to earn deductions. 2. Which IRA Is Pretax? If you move money into a traditional IRA at any time during the year, you'll have the ability to deduct allowable amounts, up to prescribed IRS limits, in the current tax year. You will face reductions, limitations or lose all potential deductions on your IRA if you were also covered by a retirement plan by your employer for any portion of the current tax year and earn more than specified income levels. Two types of IRAs, traditional and Roth, are available for individuals. Traditional IRAs permit annual tax-deductible contributions of up to $5,000 -- or $6,000, if you were age 50 by year's end. However, you cannot open a traditional IRA if you've reached age 70 1/2 by the end of the year. A Roth IRA can be opened at any age and has the same contribution limits. However, Roth IRAs do not generate any immediate tax deductions because they are made with money that has already been taxed. If you were covered by a retirement plan at work during all or part of the current year, you may face limitations on the tax deductibility of your IRA contributions. Fortunately, although your tax deduction may be reduced, you can still contribute up to the maximum amount, as set by the IRS. The size of your income and tax filing status determine whether you will receive a reduced tax deduction -- or no deduction at all. If you receive Social Security benefits, earn taxable income and make contributions to a traditional IRA, and were covered by a retirement plan at work, you face further limitations on tax deductions. However, moving money into an IRA at any time during the year still permits you to take any allowable deductions for that year. If you have an employer retirement plan, your Adjusted Gross Income affects your deduction. 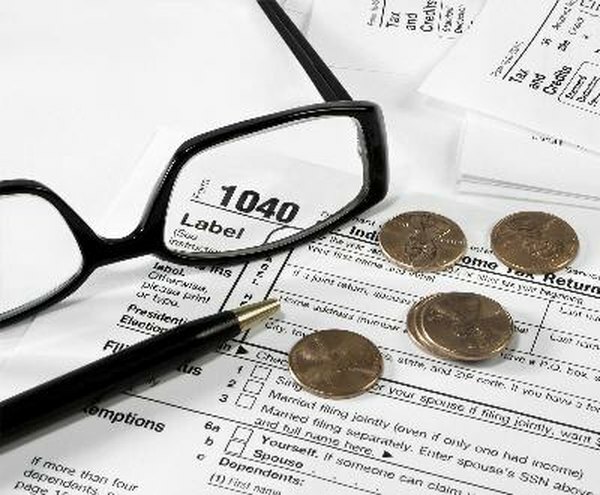 Should you file as a single or head of household taxpayer, you can take the full deduction in the current year if you made $56,000 or less, as of the date of publication. If you made more, but less than $66,000, you're allowed a partial deduction. Earning more than $66,000 means you'll have no tax deduction for your IRA contribution. Should you and your spouse earn $90,000 or less and be covered by employer retirement plans, you receive the full IRA tax deduction. If you both earn more than $90,000 but less than $110,000 total, you'll qualify for a partial deduction. When you and your spouse earn over $110,000 together, you can take no IRA tax deduction, regardless of your total contributions. Taxpayers who are single, head of household, a qualifying widow(er) and married filing jointly have no earnings limitations to get the full IRA tax deduction. Those filing jointly, with a spouse who's covered by an employer plan, must earn $169,000 or less to get full deductions. Partial deductions are available for those earning up to $179,000, but no deduction for those earning more. You face no timing restrictions regarding when you contribute to a traditional IRA. Not only can you wait until December 31 to make your total contribution, the IRS has historically allowed taxpayers to deposit into their IRA up to the date they file tax returns. If you wait until the last day of the next year to file, April 15, you can contribute to your IRA up to that date. This gives you at least 15 1/2 months to earn the tax deduction for IRA contributions. Can Married Filing Separate Contribute to a Traditional IRA?